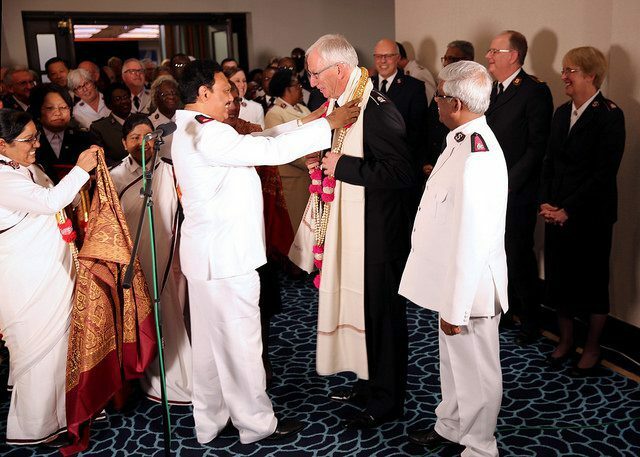 The 2018 High Council concluded the day May 24 with its election process, undertaken in silence as a solemn and sacred duty, resulting in the election of Commissioner Brian Peddle as the 21st General of The Salvation Army. 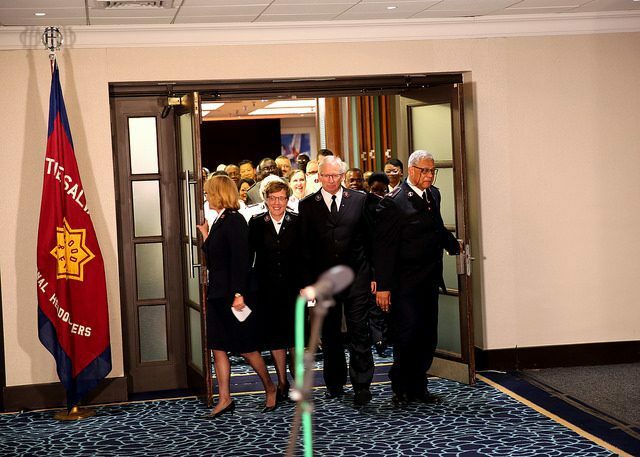 At the beginning of the day’s business, the High Council President (Commissioner Birgitte Brekke-Clifton, International Headquarters) took a few moments to acknowledge and thank the support staff: translators, IT support, secretarial staff and recorders—a sentiment endorsed by the council with appreciative applause. As with the answers to the questionnaires on the previous day, the speeches from the four candidates were delivered without interruption and there followed no expression of approval or dissent. The drawing of lots again determined the order in which the candidates gave their speeches, which were received in silence. The council then adjourned.